How am I planning to report? Quality measure data can be collected and reported to CMS in different ways, including via claims; via your EHR; via a Qualified Clinical Data Registry (QCDR); or via a Qualified MIPS Registry. 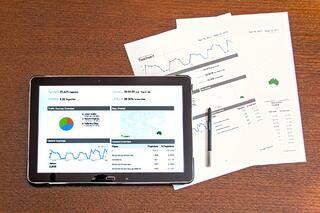 In a previous post, we covered some differences between reporting via EHR and reporting via registry. A further advantage to reporting via registry is that while EHRs are limited to reporting 53 or fewer quality measures, registries can report on 243, considerably expanding your chance of finding measures in which your practice performs well. Am I reporting individually or as part of a group? For group reporting, a TIN of 2 or more providers reports MIPS measures and activities at the group (TIN) level, rather than on the individual (TIN+NPI) level. When providers report as an individual, any payment adjustment is based on their own performance, but when they report as a group, the payment adjustment is based on the performance of the entire group. Practices with providers who have a difficult time finding relevant measures to report might find this option advantageous, if they are eligible for it. Note that in organizations with one TIN and multiple providers who use different EHRs, reporting can be difficult to navigate unless you use a registry like MIPSPRO, which can accept and integrate data from many EHRs. What kinds of measures do I need to report? Your answer to this question depends on which MIPS Pacing Option you select for this year. You have an option of reporting 1 Quality Measure to avoid the MIPS penalty, or reporting up to 6 Quality Measures to get an incentive payment. We recommend that you report as much data as possible to maximize your score and reimbursement, but we also understand that many providers would prefer to report the absolute minimum in order to avoid the penalty. 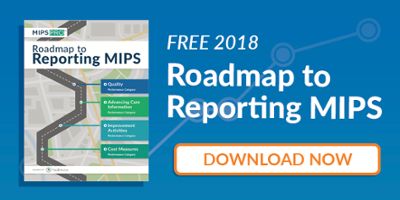 Our Roadmap to Reporting MIPS Quality Measures will guide you through the requirements more specifically, no matter which pacing option you choose. Also, keep in mind that if you track all applicable measures, CMS will accept the highest performing measures and disregard the rest when you submit your data! This is why we recommend reporting as much data as possible if you are using electronic reporting or another mechanism that allows for easy measure tracking. In our next post, we’ll dive into some of the more specific questions you should be asking in determining which measures are best for you and your practice. In the meantime, if you want to learn more about MIPS requirements, check out our educational resources or subscribe to our blog for weekly updates and tips. Or, you can request a free consultation with a Healthmonix team member today.